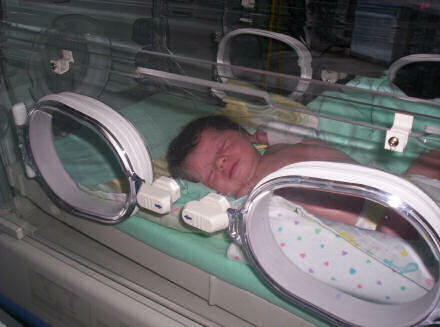 Baby Owen in an incubator earlier this evening. Thanks for your prayers so far. We were able to visit Rebecca this evening — the whole family gathered around her bed like the Boswells in a scene from the 80s TV show Bread. At some point during the visit a nurse came in to say that we could visit Owen in the Special Care Baby Unit (SCBU) — the delay had been due to a desperately ill baby being attended to in the same room as Owen — so we headed along there and visited young Owen in a manner that Noah would have been proud: two by two. I’m so pleased that Mum got to see her grandson for the first time; there was a chance at a couple of points during the evening that no-one would get in to see him, but the prayers of the saints came through and he was ready for visitors shortly before visiting time ended, which was perfect. Owen still has some way to go, and Mum will be pleased to get him into her arms to make sure for herself that he’s okay, and get the Official Retired Midwife Seal of Approval™. Still more praying to be done. 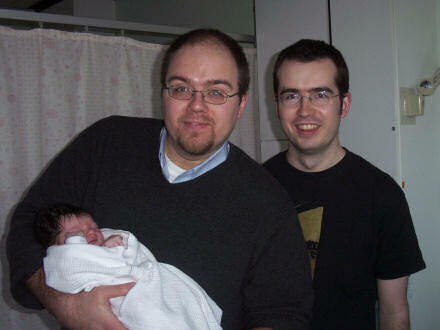 Photograph taken yesterday in hospital, Uncle Gareth holding Owen, with Owen’s father (Gareth’s brother) Edmund. This is a call for all the saints (that’s you, by the way) to please pray for our new nephew Owen. We’ve heard that baby Owen had to be taken to the baby special unit within the last 24 hours, having had a little shaking episode and losing colour. We’re not entirely sure what’s going on, but our trust is in God to bring Owen, and Bec and Eddie through this. 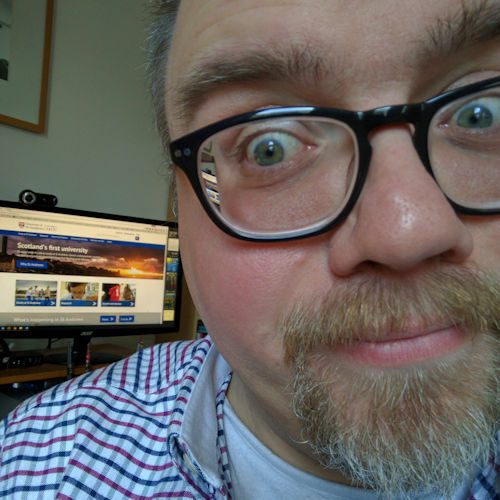 Jane and I are off to Selkirk soon to pick up Grannie (my Mum, the ex-Midwife) and take her to Livingston to see baby and new parents for the first time. I mean, Mum’s seen Eddie and Rebecca before — obviously! — but not as parents. You know what I mean! I’ll give an update when we get back later this evening.